SeanyMac Studios is a leading provider of voice lessons in Hong Kong. We are proud to have worked directly with singers of all skill levels across HK and throughout the Asia-pacific, from professionals to beginner vocalists. We’re dedicated to helping our clients improve their vocal strength for any purpose: from auditions, to performances, recording, touring – or even singing karaoke with potential business clients! 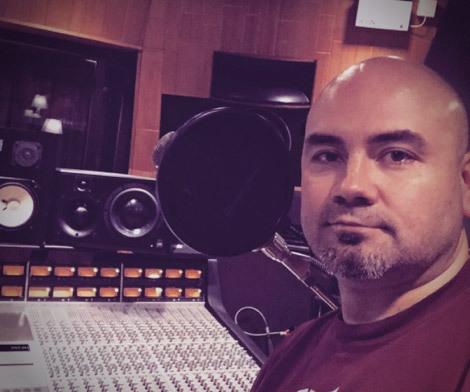 Based in Hong Kong, singing teacher Sean Oliver has been coaching top vocal artists in Hong Kong (HK), Greater China and Southeast Asia for the last ten years. With a professional career spanning over 30 years, Sean teaches techniques for both voice and stage presence, understanding the challenges faced by every artist. Sean’s technique of coaching focuses on the demands of the artist, quickly solving common obstacles. His personalized vocal technique has helped the very best of vocalists to push their limits in every performance. Students of voice teacher Sean Oliver receive specialized coaching across all fronts. Whether your singing lesson takes place in our Hong Kong studio or on-set before a big performance, we take a flexible approach to conducting your training. Whether you’re a professional or beginner, you can get the best out of your voice through regular one-on-one singing lessons with SeanyMac Studios in Hong Kong (HK) and beyond. Need a quick fix? SeanyMac will customize coaching to improve your vocal production within days of your upcoming performance. Want to improve your artistry and performance quality? SeanyMac Studios specializes in training young talent, new to the industry. Traveling takes a lot of time. SeanyMac Studios can accommodate through Skype or FaceTime with voice coaching and warm-up exercises. If you have questions regarding any of our services – from our voice teacher, to singing lessons, our studios in HK and other locations – please don’t hesitate to get in touch. Michael Wong is a Chinese-American actor, singer and director based in Hong Kong. Michael’s career debuted in the 1983 kung fu film, “Invincible Obsessed Fighter.” Since then, his extensive career has seen him in over 70 films with numerous appearances on television shows worldwide. Jill blasted onto the Cantopop music scene in 2005 with the release of her first single, “Lonely.” Shortly after, she released her debut album, “Hit Me.” Her incredible career has seen her on the theatre stage as well as film. For the past 10 years, we have been working with vocal artists in Mainland China and APAC to help elevate their performance. Here are some of the artists we have worked with. Feel free to contact us if you have any questions regarding our lessons! Don’t be a stranger! Connect with us on social media so you will be the first ones to know our latest updates! Keep Up On the Latest with SeanyMac! Subscribe to our monthly newsletter to receive regular tips on singing!